As the warmth of summer gives way to chilly autumn weather, it’s time to buckle down and button up—your house, that is. Setting aside a little extra time now to improve your home’s energy efficiency can pay off handsomely when frigid winter weather blows in with full force. One of the most important steps is to make sure your home is properly insulated to minimize heat loss in winter and heat gain in summer. 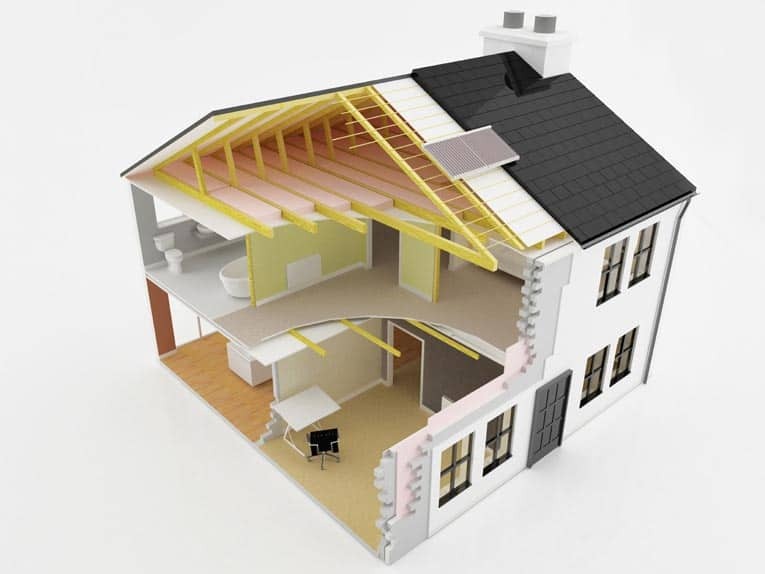 Although all house-building materials slow the movement of heat through walls, ceilings, and floors to some extent, insulation products, available in several different forms, provide an especially effective barrier that retards heat transfer. Just how well a particular insulation does this depends upon the material. Some of the favorites are fiberglass in blankets and batts (easiest for do-it-yourselfers to install), loose-fill and blown-in cellulose and pellet materials, and foam. 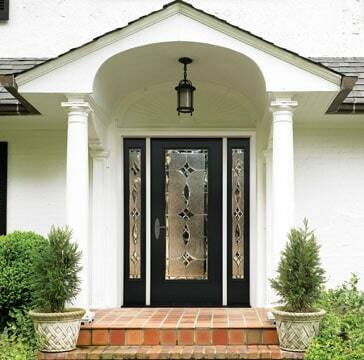 If you go to the trouble of insulating, it’s also smart to make sure that doors and windows are properly weatherstripped to cut down on air infiltration and heat loss. You might want to check out some of the newer window glazing materials on the market, too. The effectiveness of insulation is rated by R-value. The higher the R-value, the greater the material’s ability to insulate. Each inch of fiberglass blanket insulation, for example, provides an R-value of about 3.27. 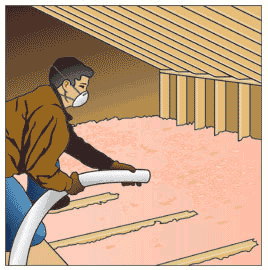 Loose-fill insulation can vary from about 2.2 to 4.0, depending on how effectively it is installed. Sprayed polyurethane foam can be rated as high as 6.0 to 7.3. 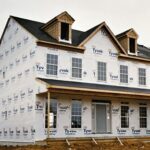 For a more in-depth comparison of different kinds of insulation, see the House Insulation Buying Guide. Recommended R-values for walls, ceilings, and floors vary from one region to another and may be affected by the type of heating that is used in the home. Building codes in most mild climates specify R-11 in the walls and floors and R-19 in ceilings below ventilated attics. For moderate climates, R-19 is needed in the walls and floors and R-30 in ceilings below ventilated attics. Cold climates call for R-19 in walls and under floors and R-38 to R-49 in ceilings below ventilated attics. You can pinpoint appropriate amounts of insulation for homes in your area by visiting to the U.S. Department of Energy’s website, www.energy.gov, and entering your zip code. New homes are required to have minimum amounts of insulation, but homes built more than about 20 years ago may have little or none. 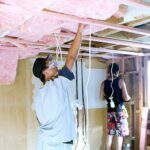 How can you tell whether or not your walls, ceilings, and floors already contain enough insulation? To see where insulation belongs, see How to Calculate Your Insulation Needs. Armed with that information, you can explore the attic and go under the floor with a flashlight and measuring tape or ruler to look for insulation and measure its thickness. (When in the attic, be sure to walk only on structural joists or a sturdy, secure attic floor.) To check insulation in an exterior wall, remove an electrical outlet cover and look next to the electrical box with a flashlight. Be sure you turn off the electrical circuit before you do this. For more about this, see Inspecting Home Insulation. If all of this sounds like more work than you want to take on, call your energy utility company and request an energy audit of your home. Many provide this as a free service.